Although none of them are on Instagram, Arthur, Bob and Hub dive into the drama surrounding Jordan Howard's removal of all his Bears-related photos. Is it a sign!?!? 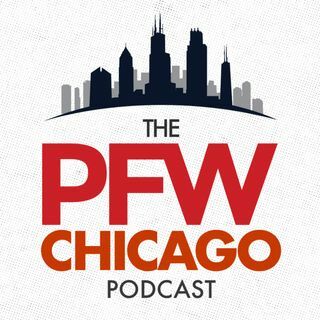 Hub mentioned a few weeks ago on the pod that he's heard of a few folks inside Halas Hal who question whether Howard can be a premiere feature NFL runner. Still, Arkush and LeGere agree that Howard shouldn't be going anywhere. Plus, Bob shares with the listeners his takeaways from chatting with Kyle Long on Tuesday, ... See More and Hub explains why he's mocked Minkah Fitzpatrick and Tremaine Edmunds to Chicago at No. 8 and what other draft possibilities are out there for Ryan Pace.